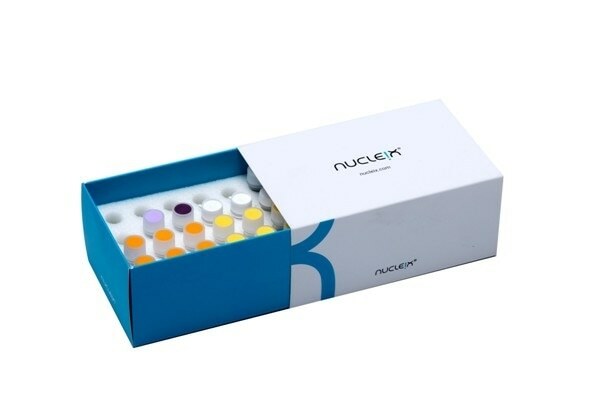 Nucleix Ltd., a leading cancer detection and screening company, announced today that the multi-center European study results with its Bladder EpiCheck™ urine test for the detection of bladder cancer recurrence, were published in the European Urology Oncology journal. The results demonstrate best-in-class performance of Bladder EpiCheck and support the reduction of follow-up invasive procedures. The multi-center, single-arm, prospective, double-blind clinical study was performed in five leading urology centers in Europe, on 440 patients who were recruited in their first year of follow-up. The study compared the results of Bladder EpiCheck to the current gold standard follow-up sequence (cystoscopy, cytology and pathology verification). Bladder EpiCheck demonstrated a clinically relevant and high negative predictive value (NPV), with NPV of 99.3% and sensitivity of 91.7% (both excluding patients with low-grade tumors) and specificity of 88%. Bladder EpiCheck is a CE approved urine test for monitoring of bladder cancer that was clinically validated in several independent cohorts in leading hospitals and labs throughout Europe. Bladder EpiCheck has shown in clinical trials best performance of a non-invasive tool in detection of bladder cancer recurrence when compared to the invasive standard-of-care. The test is objective, operator independent and requires standard laboratory equipment. Bladder EpiCheck is based on Nucleix’s proprietary molecular biomarker technology, which combines new biochemical assays and sophisticated algorithms. The technology is based on identification and analysis of subtle changes in DNA methylation patterns, a powerful tool for distinguishing between cancer and healthy cells and thus for detection of tumors in the body.